Usually if there is a blocked pawn chain one is trying to attack it close to its base with a pawn from the side. For instance, in the classical king's Indian black is playing f5 (not c6) and later (if white plays f3) perhaps even g4 etc. White on the other hand is pushing c5 (not f4). I am aware why attacking chains in this way is generally the best choice. Are there any examples in openings or famous games (besides the French defence f7-f6) where the pawn chain is attacked at the other, "wrong" end? This is rule for strategic chess with no tactics involved. This rule was good in days when players liked their pawn structures and didn't go too crazy with their moves. I think this is Nimzovich's rule from My System, but I'm not certain about this. In my opinion, this rule should be taken very lightly today, as there is really a lot of examples, when players attack the "bad end" of a chain. The reason is simple: Pawn is for 1, knight and bishop are for 3, rook for 5 and queen for 10. You should point your attention to place where you have advantage in total firepower. Pawns are very small part of that. There is however higher probability that your pieces are aimed towards the "correct end" of a chain. That's reason why a lot of players respects this rule a lot. 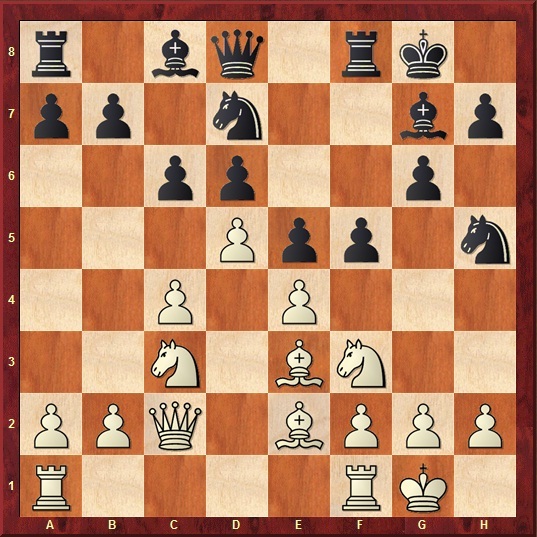 When you have bishops on d3 and c1 in closed french type position, you certainly want to play on a kingside. In King's Indian it is very typical black plays c6 move even in some of the racing lines. On the other hand white sometimes play 0-0-0 with g4 h4 attack. In french both black's f6 and white's a3 b4. In e5 carocan white often pushes c4 and black takes some breathing space with f6. This is the best way to attack instantly the pawn chain and not only the pawn is attack it sometimes also opens rook files; opens bishops diagonals etc. In the king's Indian defense. I'm not sure what is discussed in the examples above constitutes a pawn chain as Nimzo spoke of it. As such, Nimzo's advice to attack the base does not yet apply. A chain implies a fixed interlocking of pawns, where the base is the base and no other pawn can be promoted to the base. In the examples shown here, if you were to attack the "base", the other side could reply with a pawn move that would potentially provide a NEW base. In the example above, if black replied 3...b5 attacking the "base" - white could reply 4. b3, wherein the real base does not yet exist since there is still pawn tension. In this case, there is no "base" to attack (yet) since the pawns are not in their final, locked position. Indeed, this is Nimzovitchs advice that is being quoted, Before dismissing it as out of date it might be worth reflecting that Nimzovitch would still win your club championshio without breaking a sweat. And his reasoning still holds good. You want the opponents base to be somewhere that you can attack it. But progress often proceeds by first formulating general rules and then finding the exceptions. There is an excellent discussion of this topic in John Watson's "Modern Chess Strategy, Advances since Nimzovitch". And you don't need to know the conclusion. You need to consider the arguments on both sides. Not the answer you're looking for? Browse other questions tagged strategy pawn-structure or ask your own question. What is the name of this pawn structure for black, with doubled c and f pawns?